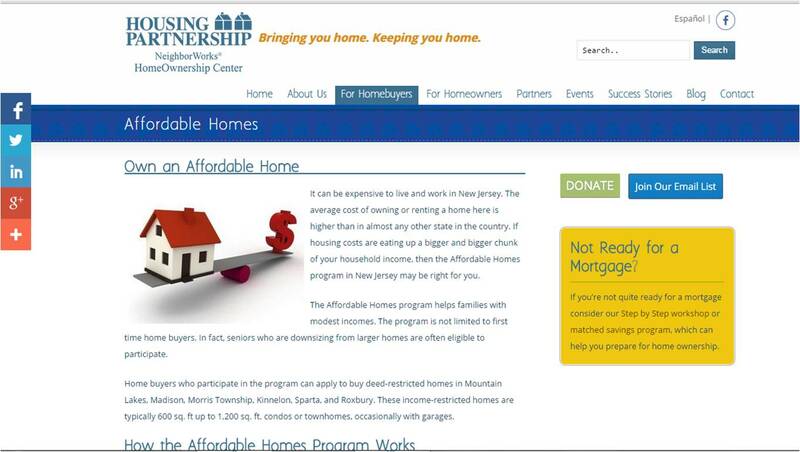 We had the opportunity to team with TAG Online to help the Housing Partnership of New Jersey create a new website. The Housing Partnership is a nonprofit organization located in Dover, NJ, that provides assistance to families of modest means who want to buy and keep homes of their very own. We also worked with the Housing Partnership staff to write and edit the site’s content so that it would more clearly explain HP’s story and the full range of services it offers. 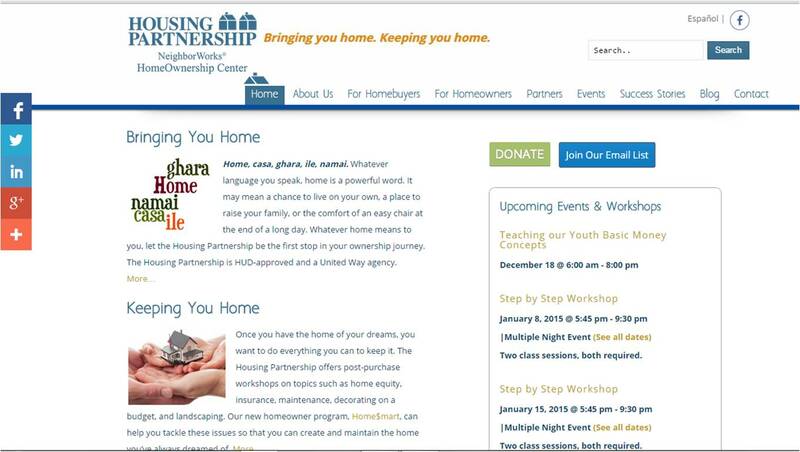 Check out the complete Housing Partnership website at www.housingpartnershipnj.org. For more about our website content development services, contact us.